Star Wars Storm Trooper Necklace 22” Chain | BUDK.com - Knives & Swords At The Lowest Prices! Show everyone that you think Star Wars is the best space movie ever made by wearing this great collectible. 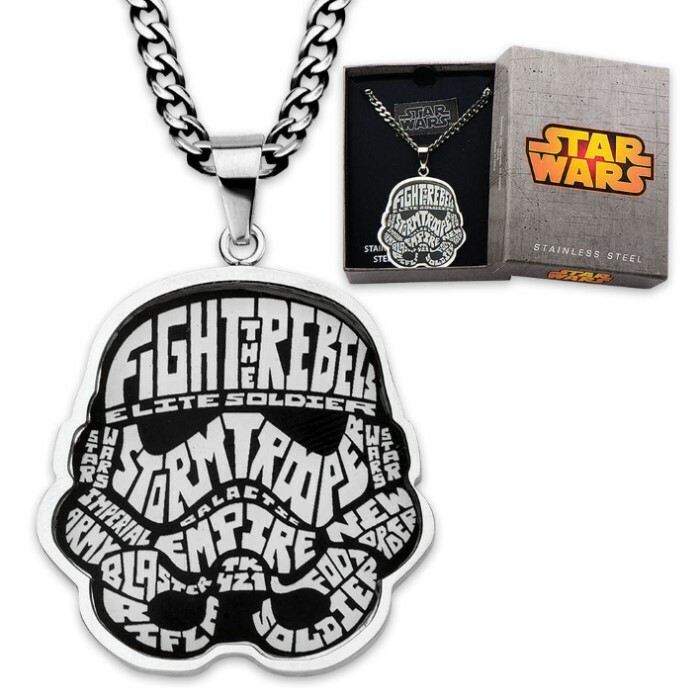 The Storm Trooper Necklace has a rust-resistant stainless steel, enamel typography art pendant on a 22” chain. 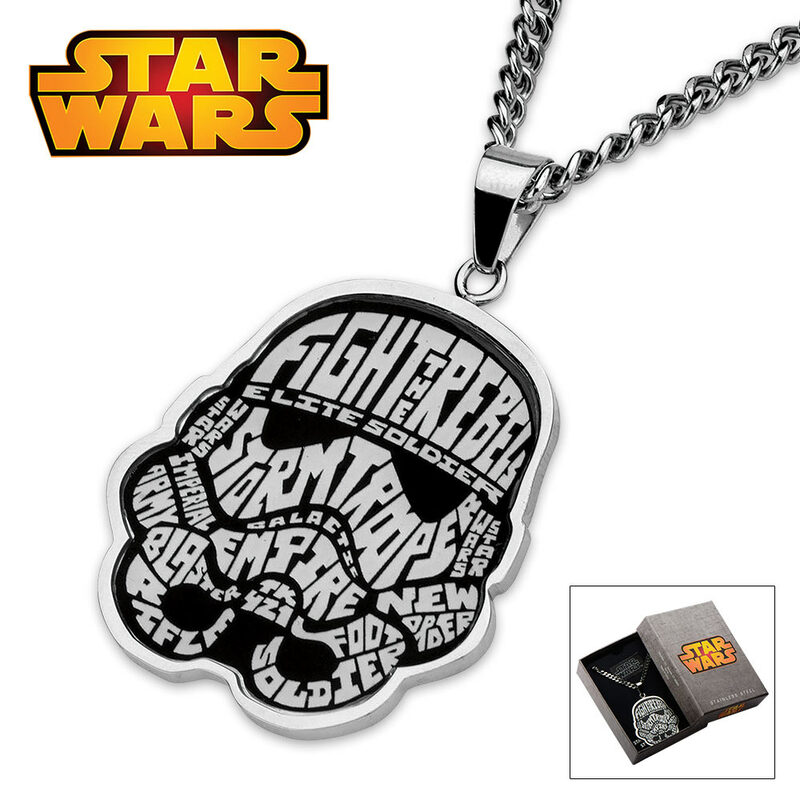 The pendant is in the shape of a Storm Troopers helmet and has Dark Side themed words and phrases. 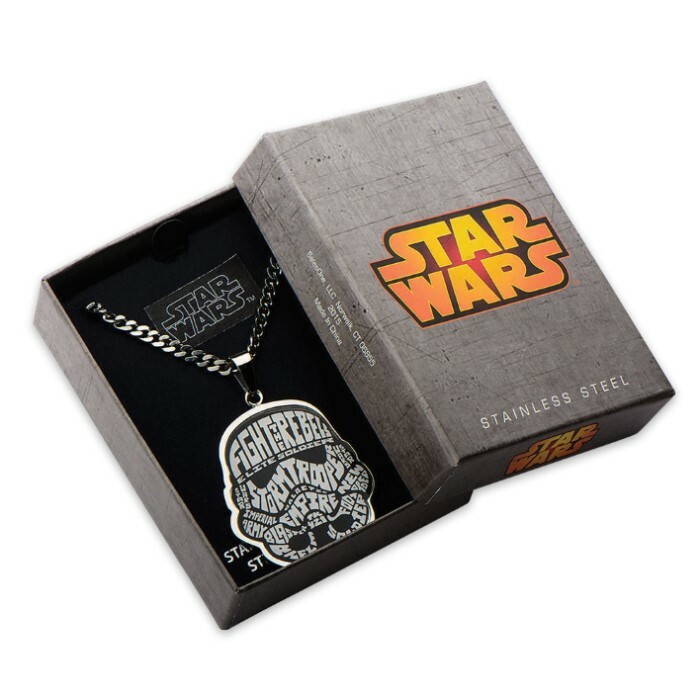 This intricately detailed necklace comes in a box with the official Star Wars logo. This is an officially licensed product.